The iconography of the painting is based on an episode of the saint`s life. 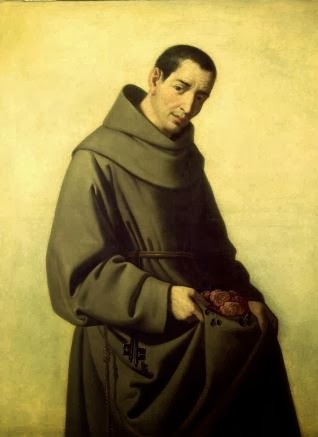 He used to take bread from the table of their convent to give to the poor. One day the guardian of the convent asked to see what he had hidden in the habit. 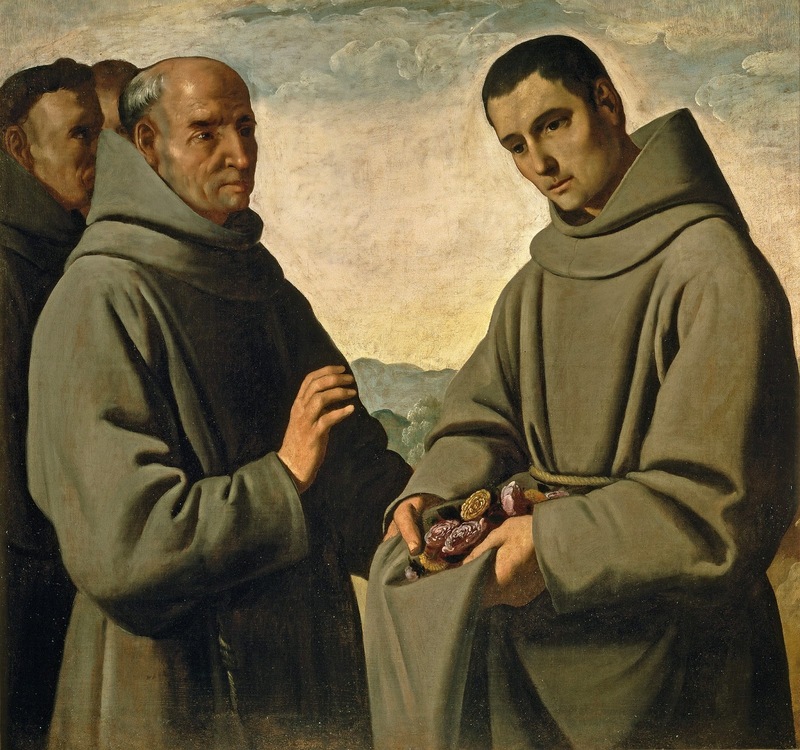 The saint replied that they were roses and naturally as you might have expected when he uncovered what he had hidden, it was seen that the bread had miraculously turned into flowers. I love this saint so much.